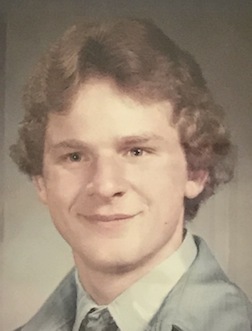 Austin L. "Lynnie" Hostler, Jr., 53, of 115 Four Mile Rd., Emporium, PA died at his residence on Monday evening. (August 6, 2018). He was born March 27, 1965 in Altoona, PA a son of Austin and Paula Stiver Hostler Sr., Hudson, NC. He married Kimberly Jones, who survives. Lennie graduated from Cameron County High School in the class of 1983. He worked as a self employed logger for many years. He was a member of the Bucktail Rod and Gun Club. In addition to his parents and wife he is survived by a daughter, Nicole Hulick, Dover, DE; brother, Robert (Michelle) Hostler, Fayetteville, NC; sister, Glenda (Tony) Bentley, Hudson, NC; brother, James (Pam) Hostler, Hulett, WY and several, nieces and nephews. He was preceded in death by a brother, Richard A. Hostler.